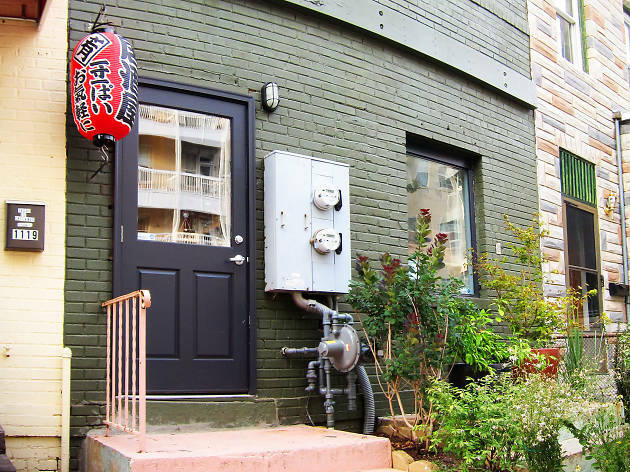 A brisk walk from the main drag of restaurants and bars near U and 14th streets, NW, Izakaya Seki is tucked into an unassuming and narrow, two-floor row house. Choose to eat upstairs in the dining room or downstairs at the chef’s bar. Either choice is equally no-frill; coat hooks are just about the only décor. Once seated, you’ll be hard-pressed not to salivate, either over plates arriving at neighboring tables or by what the robata cooks behind the bar are turning over a low flame. When it comes time to choose what to drink, brace yourself for page after page of sake selections. Your server is your best ally here. Another great ally: the list of specials handwritten on a piece of scrap paper, usually accompanied by a quirky doodle or two. The chef’s rotating sashimi selection is explosively rich (note: the wasabi here is fresh), and the seasonal miso soup (recently served with assorted roasted mushrooms) is not to be missed. From the main menu, order the slow-grilled octopus. The salmon roe hand roll—with its barely warm rice and fresh roe—will put you in a state of nirvana. 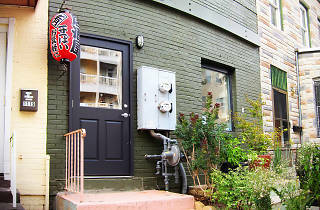 In short: Izakaya Seki deserves a deep bow of respect.